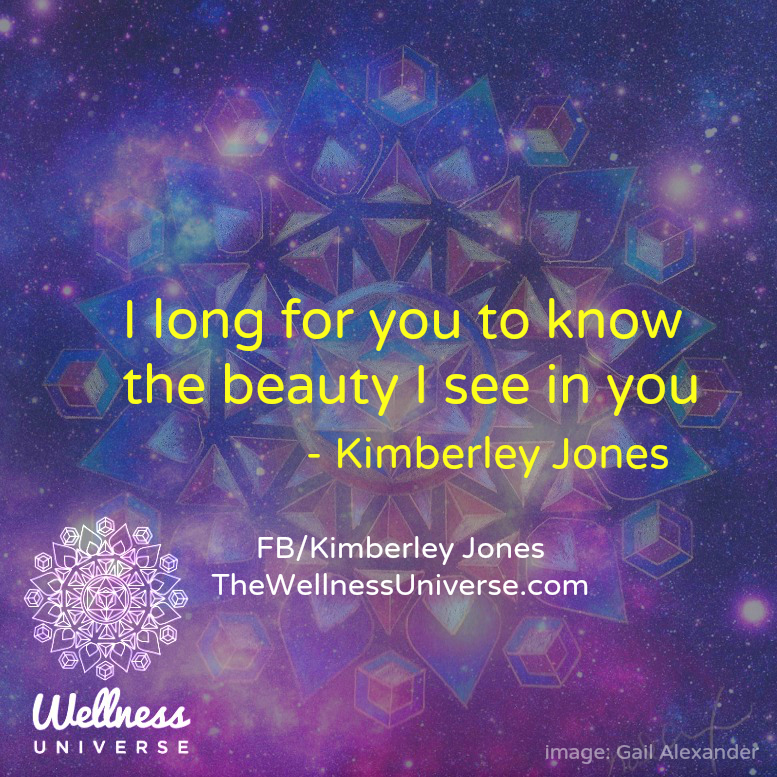 Kimberley Jones’ original quote of the day, encouraging self love, a reminder as Valentine’s Day approaches, inspires you to see your true beauty as others do. An expanded thought of her original quote of love and encouragement from Kimberley. I long for you to know the beauty I see in you. I wish you could see what I see when I look at you. On those days when you feel like you are failing I see a courageous warrior with a radiant heart who never gives up. In those moments when you look around and think everyone is doing way better than you at this thing called ‘life’, you know what I see? I see a unique, never-to-be-repeated, exquisite soul who had the courage to choose this human experience, a luminous being doing their best. I see someone who is here to live life their way, like no one else can. I see an unlimited creator capable of making life up as they go along, on their own terms. For some reason it’s always easier for our loved ones to see our magnificence more clearly than we ever do ourselves. 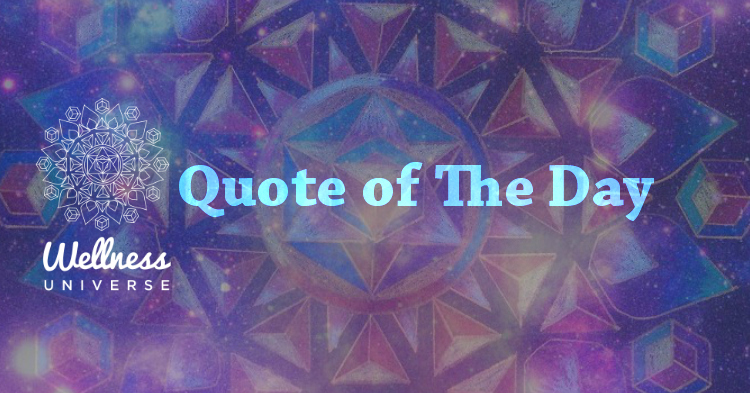 If we have made good choices about those people then they are a loving mirror for our infinite potential and all the goodness that we are. That love is the oxygen that fuels the fire of our becoming. So my love, I am here to be a reflection, for you and our awakening brothers and sisters. I will keep seeing the beauty of you, no matter what, and breathing life into the fire of your being until you shift and can see that and hold that and become that for yourself. Subscribe to The Wellness Universe newsletter for updates. Enjoy free downloadable gifts. Previous articleMega Contest WIN GREAT PRIZES!